Mad Max Black & Chrome version: I Live, I Die, I Live Again! Director George Miller changed the game when he eagerly snatched the opportunity to release his internationally acclaimed phenomenon, Mad Max: Fury Road in theaters again a year after its original release in 2015. Only this time, in monochrome. Now, the official “Black and Chrome” edition is included along with the original cut on Blu-Ray, DVD, and iTunes. The re-release of films in black and white is something new to the modern blockbuster theatre. Technically there have only been two “wide releases” of movies, Fury Road and 2017’s Logan. 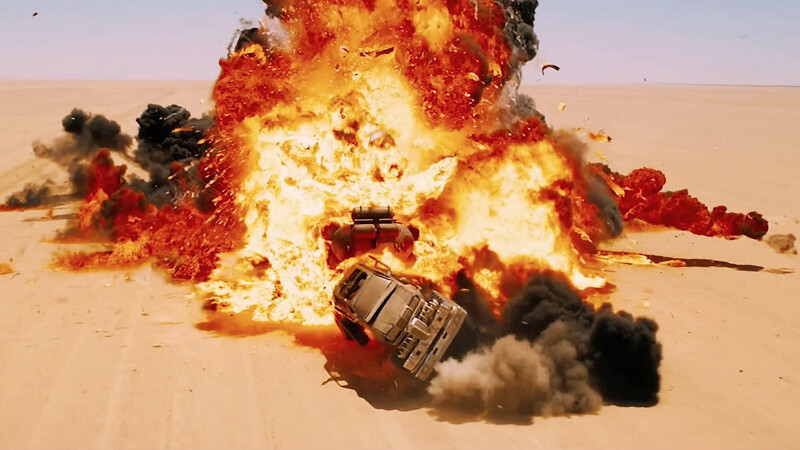 Both films were very well received, Fury Road, in particular, was praised for its use of explosive color in the dystopian desert. Explosions of fire are works of art, as they blaze red and black across the sky. Teal skies, bright orange sand, the world of Fury Road is beautiful if not barren. Making a black and white film requires a different technique and set of skills compared to a color film. Shadows have a different visual meaning; shots need retiming. When you lose color in scenes, you miss the information from the color’s symbolism. For example, the color green: in the color version, we only see the color green briefly as Immortan Joe runs through his palace and as the Keeper of the Seeds shows the wives her treasured plant, growing in an animal skull. This lack of green makes the desert all the more bleak and desolate. In black and white, the green beacon is lost, and instead, the performances of the actors enrapture the viewer: the passion for the aforementioned Green Place, the emotional reveal of the last plant growing in the middle of death. Miller prides himself and his crew on doing mostly practical stunts and special effects. But the few scenes including CGI are barely noticeable as “movie magic” in monochrome. When the color is gone, the lack of color makes everything cohesive, and even grittier as the effects blend into the world. The details of Fury Road world stand out sharply. The skeleton-white Warboys fly across the screen, and the imprints of Immortan Joe’s skull wheel symbol are more prominent than ever in the set pieces and wardrobe. The whites of the eyes are always visible, keeping the audience connected with the humanity of the warriors. White is also used for the clothes of the “wives.” The color symbolizes purity, innocence, and is an ever vibrant contrast to the clothes of the Warboys, and the fierce Vuvalini – The Many Mothers clan. 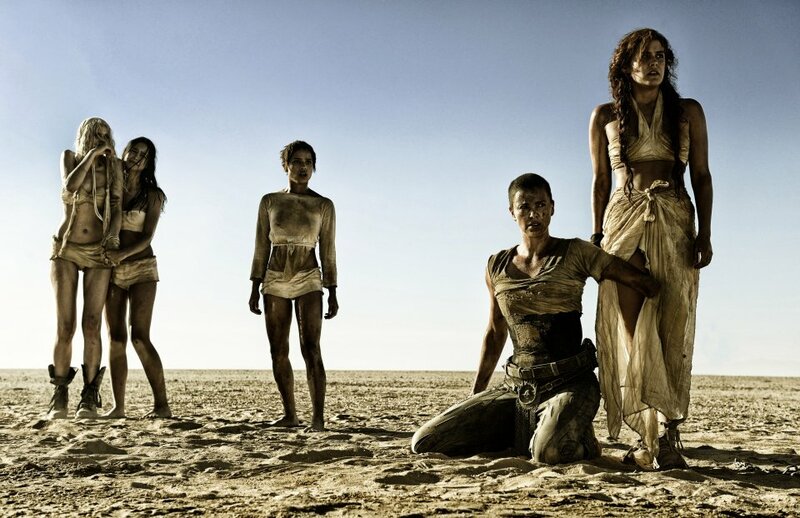 Over the course of the story, the white clothing is lost, stained, and replaced, as the women gain the skills needed to survive in the Wasteland. Lack of color changes the way the story is perceived. A filter of black and white represents the past. Fury Road now plays like an old war film. Photo courtesy of Warner Bros. Entertainment Inc.